The company is a respected Manufacturer, Exporter and Supplier of a wide variety of Security Ties. Available in diverse designs, colors and patterns, our Security Ties are highly in demand by the clients. Our Security Ties are safe and appropriate for the kids. Furthermore, our Security Ties are made from high quality fabric and accredited for soft texture, colorfastness and shrink resistance attributes. 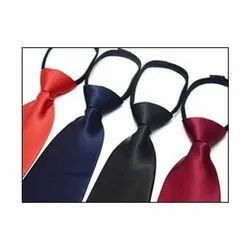 Looking for Security Ties ?